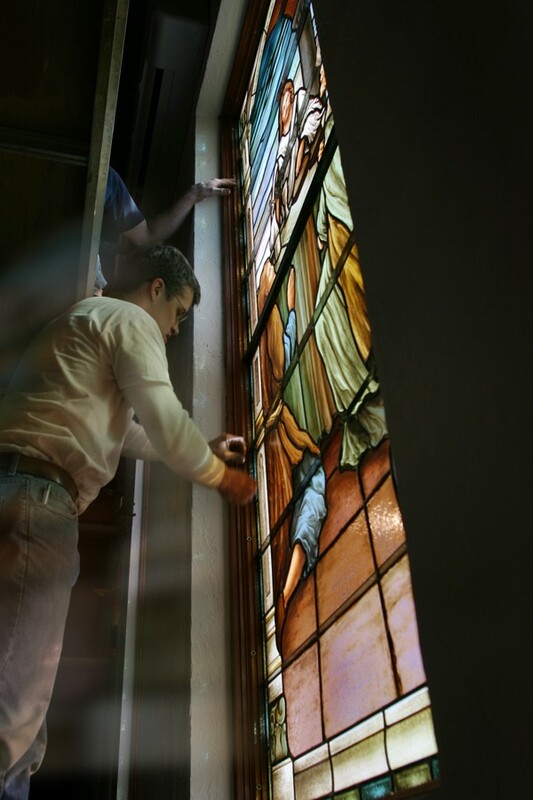 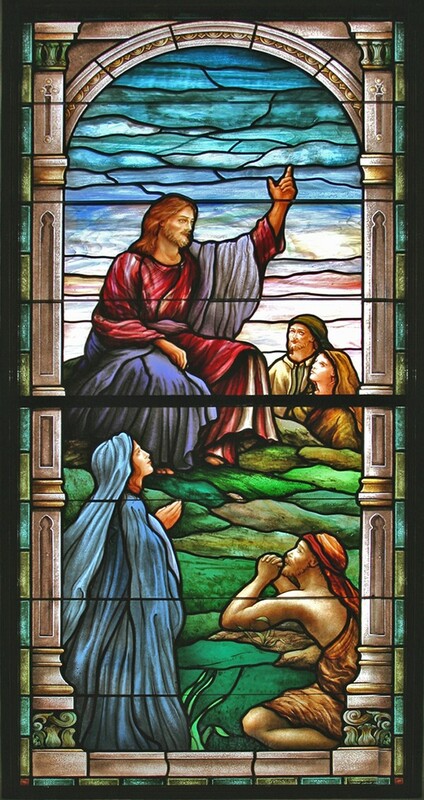 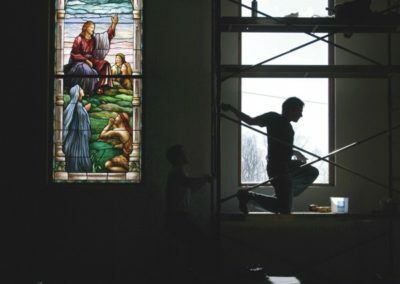 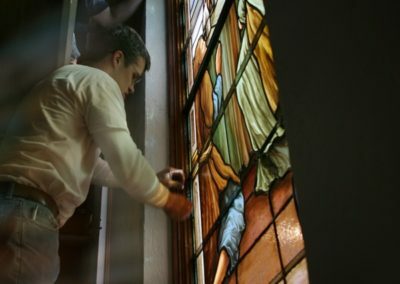 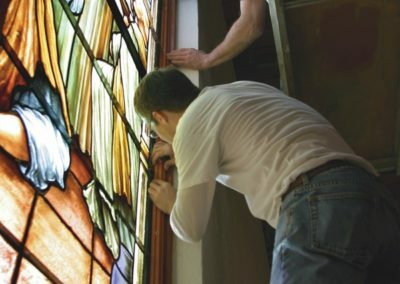 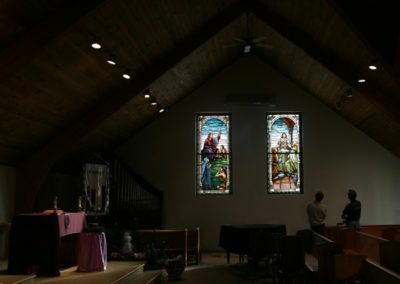 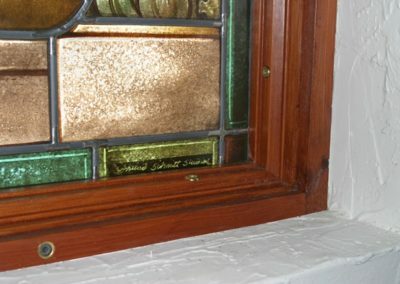 To design and fabricate two stained glass windows for the modest, modern-era St. Pius Catholic Church in Cambridge, Wisconsin that previously had none. 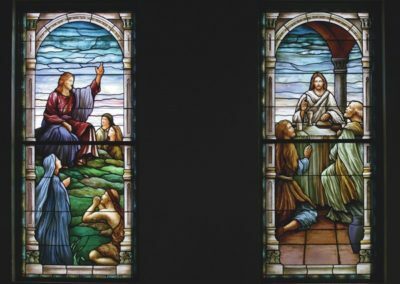 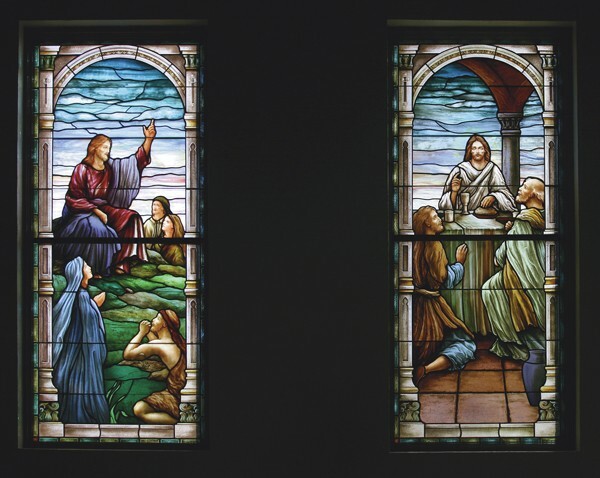 The parish desired figural windows depicting the Road to Emmaus and the Sermon on the Mount. 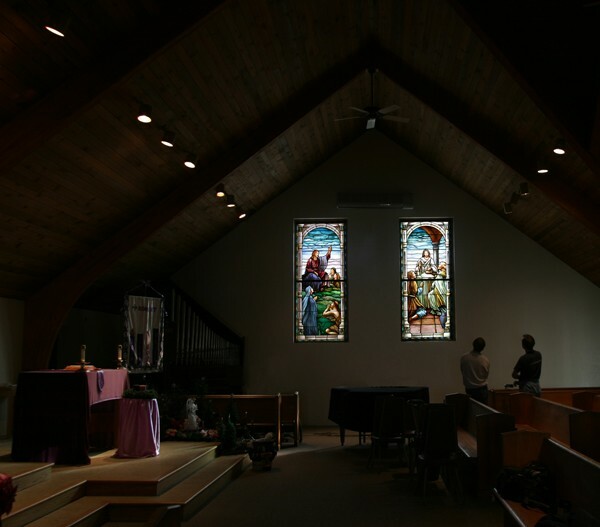 The windows were designed to capture the human and liturgical appeal of traditional, figural windows. 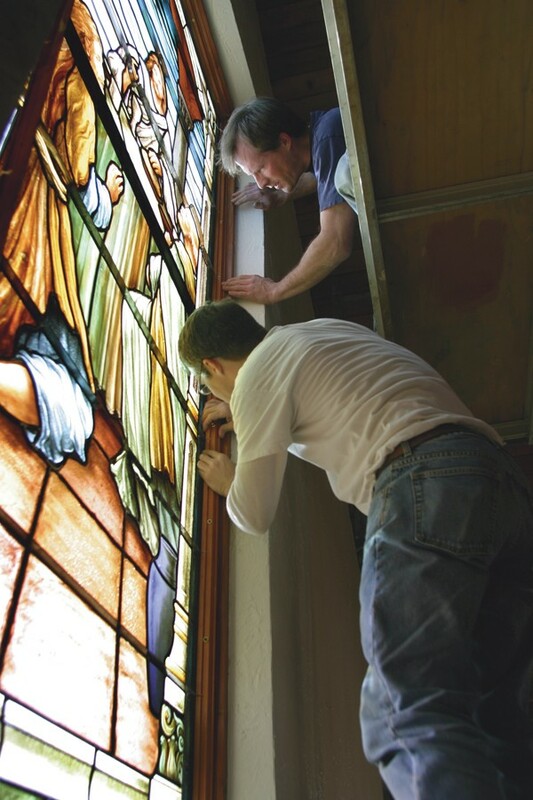 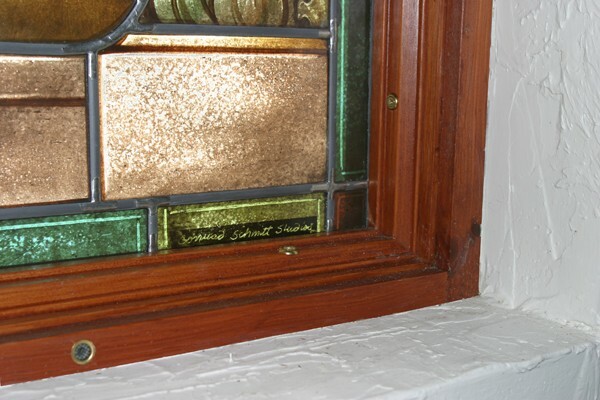 However, a more light-handed approach, better suited to the architecture, was taken for the glass painting. 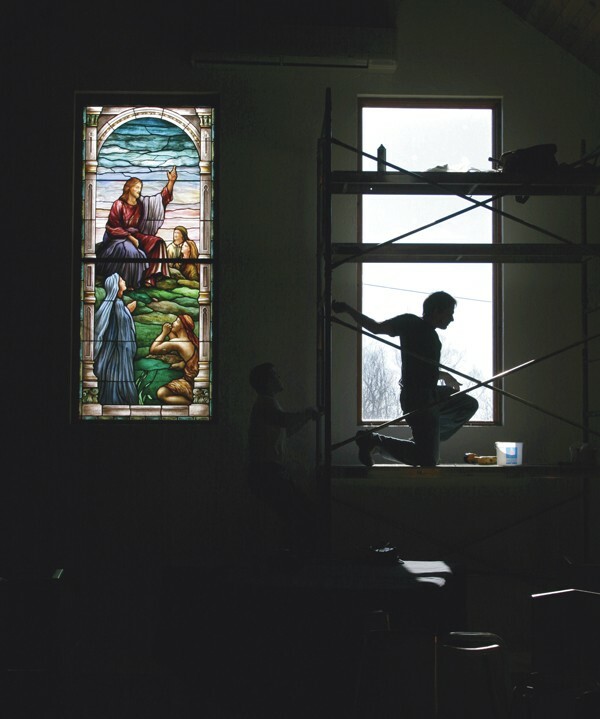 The resulting windows are meaningful and didactic, while remaining complementary to the architecture of the church.